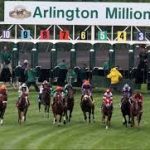 This Saturday, Arlington Park in Illinois will play host to the $1,000,000 Arlington Million race (official site), where the winner will also book their ticket into the Breeders’ Cup Turf …. It’s the week of the last major of the golfing season with the PGA Championship heading to Bellerive Country Club in St. Louis, Missouri. The course will be playing quite …. 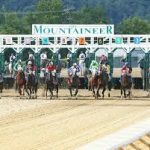 The West Virginia Derby is the biggest race to take place at Mountaineer Racetrack each year. With $500k in prizes to be won the race always brings a solid field …. 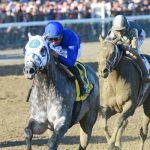 At $1.2 million is purse, the Whitney Stakes is one of the richest horse races in America each year. Add in the fact that it’s another “win and you’re in” …. 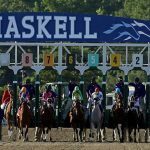 The Haskell Invitational Stakes is the biggest race that comes to Monmouth Park Racetrack in New Jersey each year. There is a nice $1,000,000 purse and the Grade 1 invitational …. UFC fights always get a lot of action at the sportsbooks. The big fights especially, such as ones featuring Conor McGregor or Jon Jones, are some of the most popular …. The Tour de France is set to being on July 7th and conclude with the Champs-Élysées stage in Paris on July 29th. The race is the most popular of cycling’s three …. 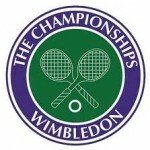 The 2018 edition of Wimbledon is set to be a great tournament with all of the best players in the world participating. Roger Federer is back in action after taking …. 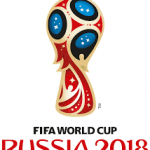 The 2018 FIFA World Cup begins tomorrow in Russia and I expect a ton of media coverage and hype here in the United States, even without the US Men’s National …. The 2018 US Open is heading to Shinnecock Hills Golf Course in Long Island. Like all US Open’s, the course looks like it is setting up to be a very ….